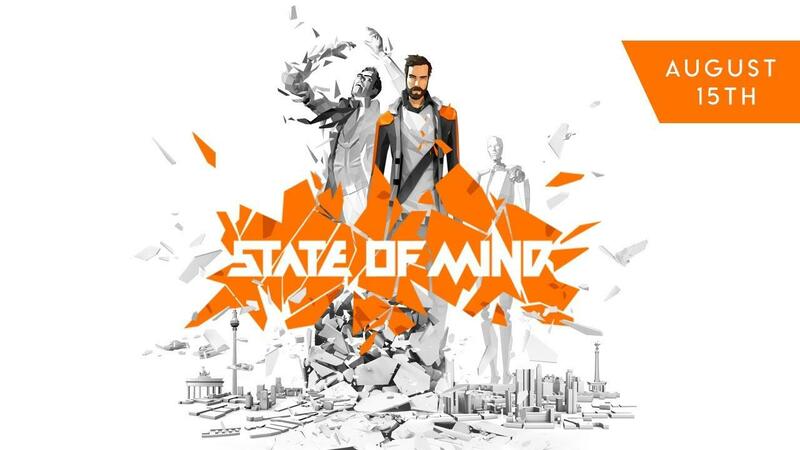 Daedalic Entertainment's futuristic thriller 'State of Mind' has a new story trailer out and a new release date. When we mentioned it last month, they gave us a release date of August 16th. However, they seem to have moved it forward as it's now going to release on August 15th. This will come with same-day Linux support! Daedalic Entertainment also did a Q&A session that was posted on YouTube back in May, which might answer some questions you have. It will be on both GOG and Steam. You can pre-order now if that's your thing. I nearly preordered the game, but I will wait for the first reports on port quality and gameplay. I doubt I will pass on this one, though. Looks very promising. I'll be buying it at release. Not sure if it classifies as independent game now, since Daedalic have become a publisher in addition to having their own studio. But they are surely one of the good forward looking publishers who support Linux and DRM-free gaming. So in that sense, they are independent from the "old guard" who are commonly anti-Linux and pro-DRM. Bought it! The game seems very promising and day1 linux-support is juat another reason to give my own support. However, my backlog has really started to grow lately so I doubt I´ll be playing it anytime soon. Feist Bought it! The game seems very promising and day1 linux-support is juat another reason to give my own support. However, my backlog has really started to grow lately so I doubt I´ll be playing it anytime soon. Eike I nearly preordered the game, but I will wait for the first reports on port quality and gameplay.